That’s if you live in Maine, though, which is just about to enter the market for recreational weed. Last November, voters in Maine gave the OK for weed to be legalized in their state – albeit, by a narrow victory – and the state legislature has since been trying to come up with rules and regulations for their legal weed market. One of those rules and regulations is something that will make purchasing your stash nice and easy, which are drive-thru windows for weed sales. It won’t be the first in the country, as two of the five states – Alaska, Colorado, Nevada, Oregon, and Washington – that have legal weed sales allow this, which are Oregon and Colorado. From January 1, the Golden State will also have legal recreational weed, too. 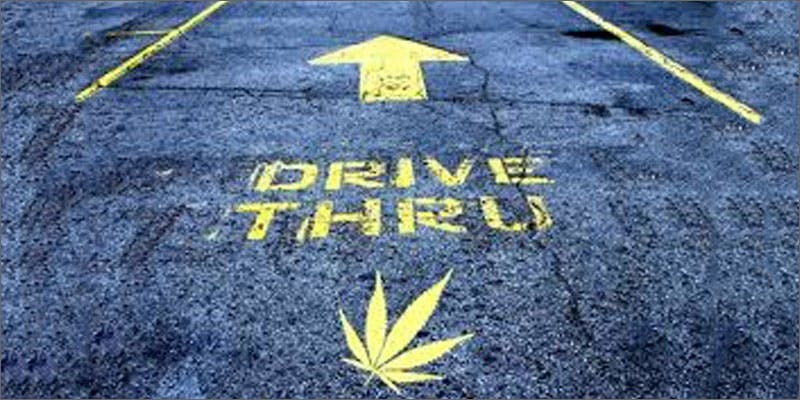 But unlike Oregon, Colorado, and Maine, the drive-thru sales that were written into draft regulations had to be pulled and rewritten to comply with a state law, which is merging the recreational and medical markets. But that’s not to say it won’t happen in the future, though. In Massachusetts, the state still hasn’t directly addressed the issue and is leaving it up to its Cannabis Control Commission to figure out before the state starts legal sale, which begins next year. But, for a measure that had a mantra of treating weed like alcohol, most agree that having drive-through sales would be a no-brainer. If Maine allows it for alcohol, we see no reason why it shouldn’t be allowed for marijuana, the safer substance, so long as Maine puts in place reasonable regulations to protect public safety and the consumer. Don’t get too excited, just yet, as the legislature’s Joint Select Committee on Marijuana Legalization Implementation is still considering the draft bill. This week, the bill gets a public hearing and legislative debate. Then, if the committee approves it, the bill goes before the full legislature next month.